Just like so many other issues, the Democrats in charge have completely reversed their passionately spoken beliefs on the so-called nuclear option, or the “filibuster” rule. In a nutshell, the new Senate rule allows Obama to push his nominations through with a simple majority rather than the centuries-old tradition of requiring 60 votes. Obama once referred to the nuclear option as “tyranny of the majority.” But if one does not know history, the tyranny of the majority does not mean much. Obama knows better. But today, Obama said, “If you got a majority of folks who believe in something, then it should pass,” as reported by Business Insider. President Obama knows better. He is a constitutional scholar. At one point in history, the majority believed in slavery. The founding fathers repeatedly warned America about the tyranny of the majority. 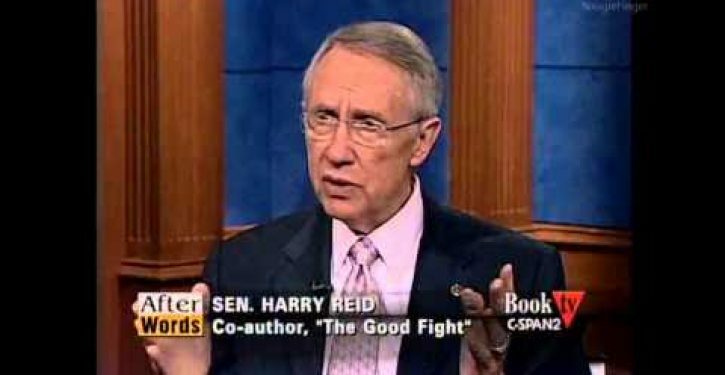 In 2005, Harry Reid posted a statement (since scrubbed) on his website invoking the founding father’s vision of limited government and checks and balances that was captured by RealClearPolitics.